Maria Serna graduates in Mathematics (UB) and Computer Science (UPC) and gotPhD in Computer Science (UPC) in 1990. She is a member of the Algorithmics, Bioinformatics, Complexity and Formal Methods (ALBCOM) research group at UPC. She has published more than 100 papers in most of the well-known computer science conferences and journals. She has been chair on several program committees and has worked in numerous program committees of leading conferences. 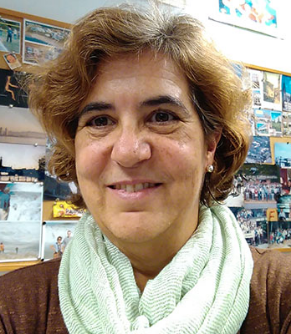 She has been site leader in the AEOLUS and ASCE projects and has participated in many other European and Spanish projects. She has been a member of the Computer Science (TIN) panel of the Spanish “Agencia Nacional de Evaluaciónn y Prospectiva” (ANEP) on the period 2009-2013. She is a past editor of the Bulletin of the EATCS.